Heretics have been around for a long time and have plagued the church for as long as we can remember. 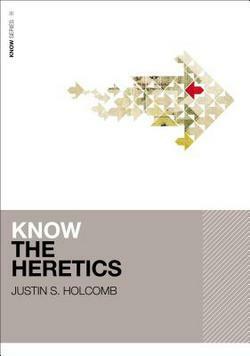 Justin Holcomb provides a valuable service for the church in his excellent book, Know the Heretics. The intent of the book is to provide a readable summary of the major heresies that have sprung up in church history. A brief historical background is presented for each heretic which is followed by the specific heretical teaching, the orthodox response, and the contemporary relevance. Know the Heretics strikes the right balance. The author provides enough data to inform readers but does not overwhelm them with the details. The tone is gracious but does not mince words. The church will only be strengthened and edified by this fine work as she commits herself to the timeless truths of Scripture.